The Gospel of Matthew contains five long speeches (discourses) of Jesus. Many Bible scholars organize the Gospel around these speeches. 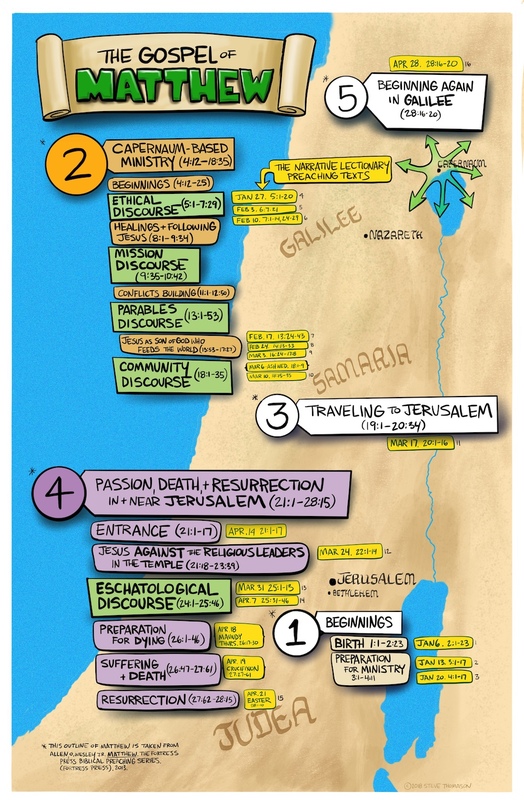 However, it is important to note that four out of the five speeches occur during Jesus’ ministry in Galilee, before he travels south to enter the city of Jerusalem. 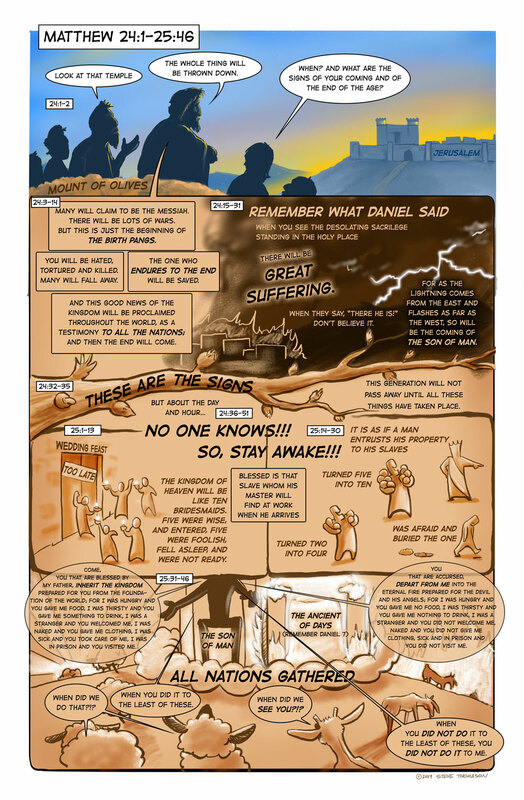 Our text for the next two weeks in the Narrative Lectionary brings us into the fifth, and final, discourse. 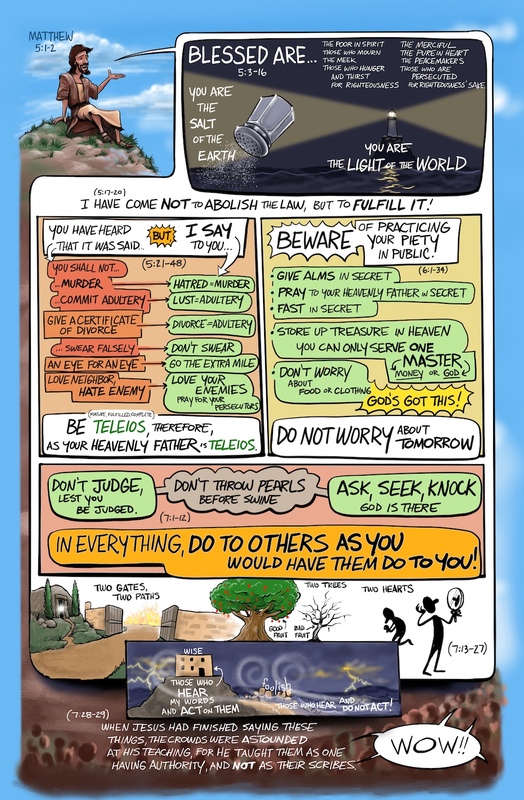 Jesus speaks these words to his disciples while sitting on the mount of Olives, looking at Jerusalem across the valley. 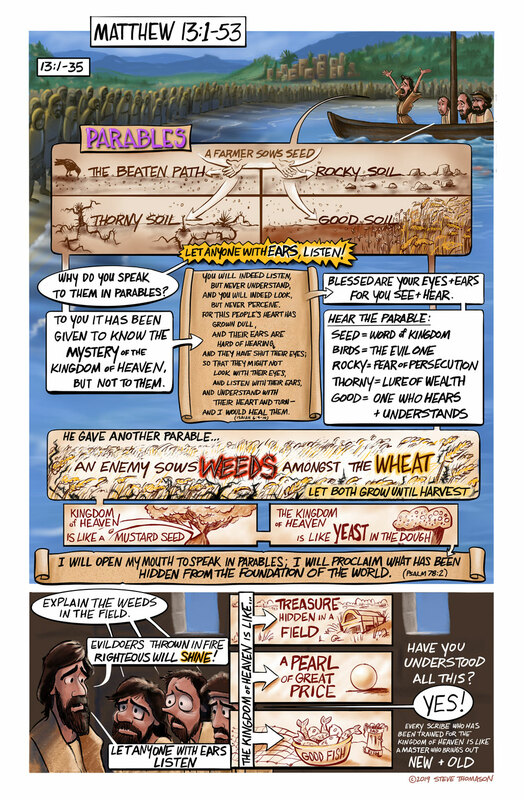 I made sure to capture each discourse as one single page in A Cartoonist’s Guide to Matthew. 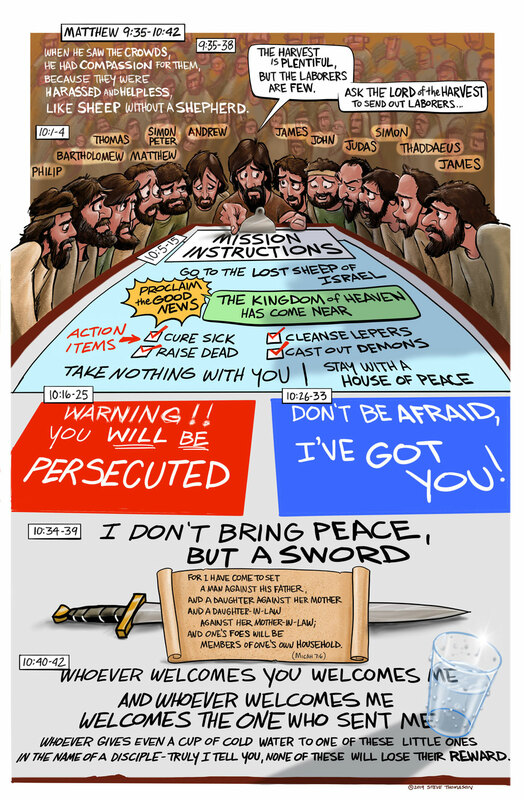 The artwork inside of the discourse bubble is different than the the style that depicts Jesus’ actions. This helps the reader to know that the stories Jesus tells are for a different purpose than the stories about Jesus that Matthew tells. 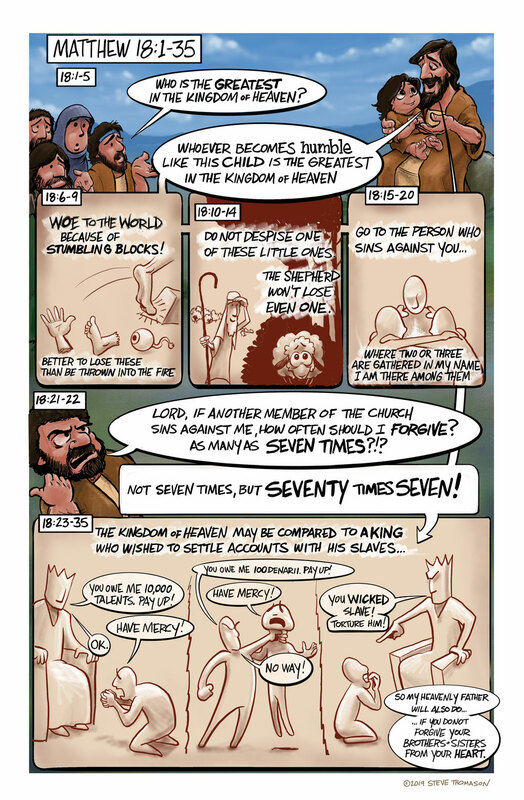 Jesus sends out the twelve. The Mission Discourse. Here they are, all together. Notice the green boxes in the outline. Looking forward to seeing the complete book finished!! Great work done while WAITING!